The exam will be based on a 700-page manual being sold in bookshops. The manual is peppered with directives such as "it is absolutely not permitted for published reports to feature any comments that go against the party line". Those who fail the test will lose the press card. Increase control over the media in the era of Xi Jinping. Beijing (AsiaNews/Agencies) - Early next year, Chinese journalists will have to pass a new ideology exam to keep their press cards, in what reporters say is another example of the ruling Communist Party's increasing control over the media under President Xi Jinping. It is the first time reporters have been required to take such a test en masse, state media has said. The exam will be based on a 700-page manual being sold in bookshops. The manual is peppered with directives such as "it is absolutely not permitted for published reports to feature any comments that go against the party line", and "the relationship between the party and the news media is one of leader and the led". The impact of increased control in the past year has been chilling, half a dozen reporters at Chinese state media said, mostly on condition of anonymity to avoid repercussions for talking to the foreign media without permission. "The tightening is very obvious in newspapers that have an impact on public opinion. These days there are lots of things they aren't allowed to report," said a journalist at a current affairs magazine. China has also intensified efforts to curb the work of foreign news organisations. Both the New York Times and Bloomberg News have not been given new journalist visas for more than a year after they published stories about the wealth of family members of former Chinese Premier Wen Jiabao and President Xi Jinping, respectively. 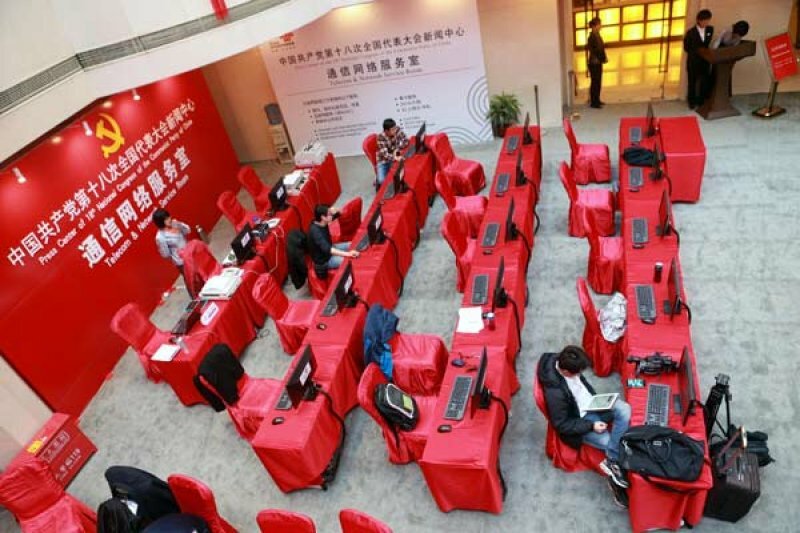 The General Administration of Press and Publication, a key media regulator, has said via state media that the aim of the exam and accompanying training is to "increase the overall quality of China's journalists and encourage them to establish socialism as their core system of values". It did not respond to questions about the exam or press freedom in China. Traditionally, Chinese state media has been the key vehicle for party propaganda. But reforms over the past decade that have allowed greater media commercialisation and limited increases in editorial independence, combined with the rise of social media, have weakened government control, academics said. The flurry of editorials after Xi spoke to propaganda officials in August, observers say, is an evidence of concern within the party that control over public discourse was slipping. The official Beijing Daily described the party's struggle to win hearts and minds as a "fight to the death".